Sustainability is at the core of everything we do. Four years ago, our Sustainability Office created an internal, annual awards program to encourage all of our manufacturing facilities to implement best practices and honor those that go above and beyond. From 2013 to 2015, our Gebze facility completed a major expansion project. 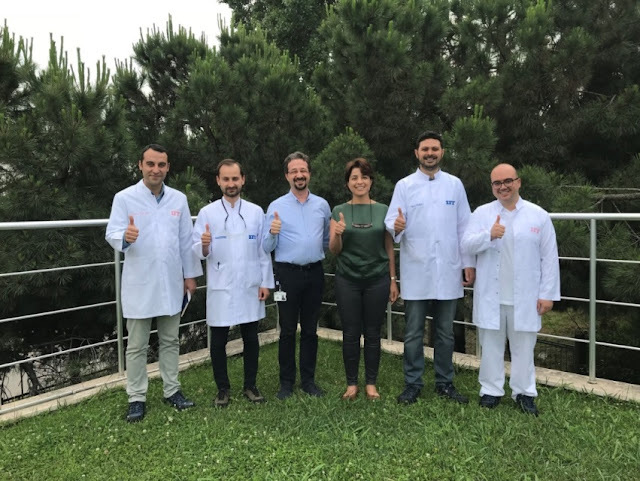 After the expansion was complete, the Gebze team worked step by step to improve their efficiency and reduce their natural resource consumptions. 2017 was an impressive milestone for Gebze. The team achieved reductions in energy, carbon emissions, water, and waste generation while increasing their production volume by 8% and batch number by 19.78%. From left:Şamil Özkan, Maintenance Supervisor, İbrahim Korkmaz, EHS Support, Onur özden, Manufacturing Manager, Didem Keskin, Subregional Ops. Manager Turkey & South Africa, Bora Özavcı, EHS Supervisor, and Aytek Karasu, Process Engineer. In an effort to involve more employees, environmental information, trainings and campaigns, such as “From Waste to Forest,” an initiative focused on recycling electronic waste, were implemented. Congratulations to our Gebze employees and thank you for your hard work and dedication to sustainability. As a repeat winner, Jacksonville has put a tremendous amount of hard work into their sustainability program—demonstrated by the Green Team and management teams alike. Sustainability efforts course through every aspect of the Jacksonville facility. Their main raw material is derived from sustainable forests maintained through replanting and conservation. 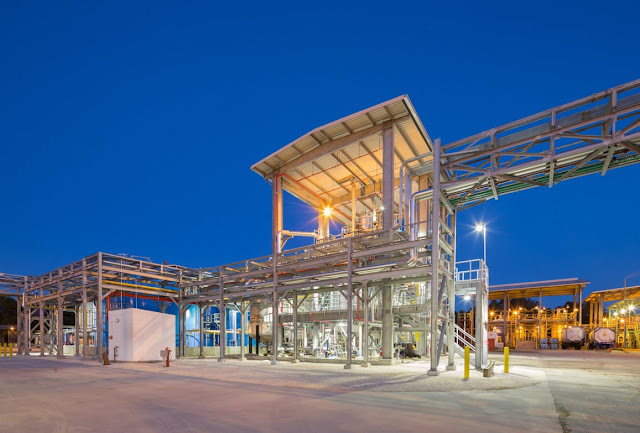 Additionally, trees from those forests are used to make paper which also yields turpentine, a natural byproduct, making 98% of the incoming turpentine at Jacksonville transformable into fragrance ingredients, other industrial products and materials to provide energy for the facility. Not only are the products and main raw materials sustainable, but so are the manufacturing processes. Jacksonville reuses its groundwater multiple times in its cooling tower system, purchases green electricity to operate the facility, and rarely generates hazardous waste. In 2018, Jacksonville has plans to improve steam traps and automate column steam control valves to reduce energy usage. At Jacksonville, they truly understand “What we do today, impacts the world tomorrow.” By implementing ISO 14001, a collection of standards to reduce environmental impact, Jacksonville is committed to IFF’s sustainability goals for 2025 and beyond. Congratulations and thank you to our awardees. Your dedication to sustainability is apparent and we know that all of our sites will follow your lead. Explore sustainability at IFF, visit iff.com/sustain.